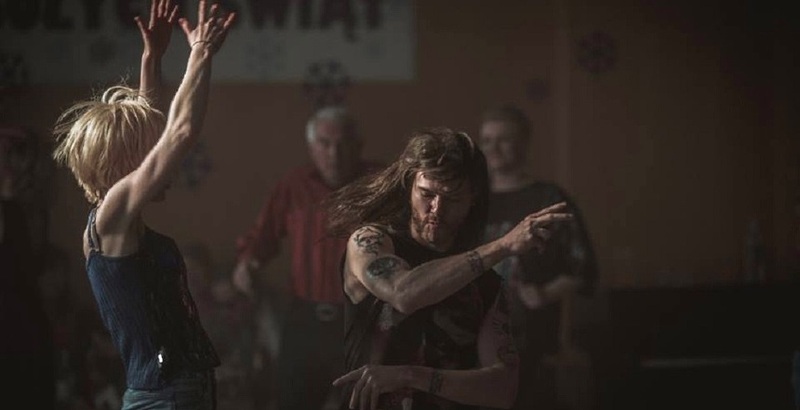 Malgorzata Szumowska kicks hypocrisy in the nuts with her new film. Humor is a divider of tastes; what strikes one person as funny may be incredibly offensive to someone else. And, as humor carries its own special brand of magic, it can sometimes be both. 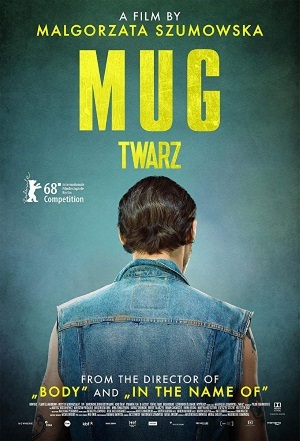 Malgorzata Szumowska's new film Mug is more a drama than a comedy, story-wise, but she bumps so many edges, tramples over so many corners, and tips so many sacred cows, that you can't help but guffaw a few times during its running time. Rest assured reviews for Mug have been mixed to say the least. Ever since the film had its world-premiere at the Berlin Film Festival earlier this year, Mug has been gathering awards and scathing criticism. At the Shivers Film Festival in konstanz (also Germany), where I saw the film, the audience was much less divided, and voted Mug into the three most favorite titles of the festival. In Mug, Mateusz Kosciukiewicz plays Jacek, a young construction worker in rural (but very current) Poland. Jacek is reasonably smart, takes crap from no-one, loves rock music, plans ahead for a career abroad, and is engaged with the local hottie. In short, he's the coolest guy in his village, a king among peers. All that changes when a terrible accident at his workplace leaves Jacek severely disfigured. Now saddled with a face even his mother can't love, and without money to pay for his very expensive medication, Jacek has to depend on help from his community. Devout Catholics all, the people in his village can't wait to be of help... at first. Director Malgorzata Szumowska starts her film with a fantastic depiction of human greed, and it's a scene which is both hilariously funny and very disturbing. It sets the tone of the film marvellously, and leaves you in no doubt as to how thin our layer of civil veneer is, and how liable it is to crack the moment there is something at stake. The camerawork is special as well, always focusing on a select part of the screen, often leaving large parts unfocused or foggy. It makes Jacek's surroundings look like a miniature world at times, in which all people are just little puppets, myopically handling only what's right in front of them. Guiding them is the church, an omnipresent organisation, constantly telling everyone how they ought to behave, to be kind and generous, to help one another. But Mug leaves no illusion un-shattered about how much of that generosity remains, when push comes to shove. Jacek finds out the hard way, and you see how the people's hubris, vanity and greed eat away at him and his sense of self-worth. Even though the film exaggerates and caricaturizes everyone's behavior, it feels uncomfortably close to reality. As a viewer, I felt sufficiently moved to anger, pity, sadness... and occasionally laughter. Because make no mistake: fun is being poked here, in the best and worst ways. I can see why this film would not be for everyone. Its message is rather on the nose, and those who feel the Catholic church has had enough bad press as of late, may think Mug contains some rather offensively low blows. But hey... I cannot fault such a scathing look at ignorance and hypocrisy, and would recommend you check this out for yourself. Mug is currently playing festivals and is being picked up for release in several countries as we speak.